Bill and Pam Farrel, authors of the bestselling Men Are Like Waffles—Women Are Like Spaghetti (more than 280,000 copies sold), bring their keen insights into relationships to these devotions that celebrate marriage, encourage open communication, and provide meaningful ways for husbands and wives to draw closer together. Our busy world often pulls couples apart, but it doesn’t have to be that way. 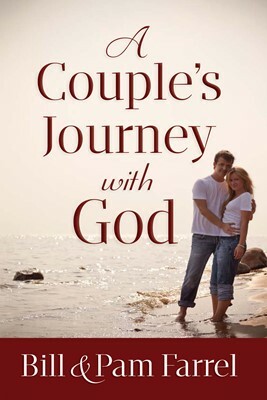 Spending time together each day in devotion and prayer will strengthen and bring joy to a relationship as couples learn to connect their love with God’s wisdom. A Couple’s Journey with God will expose readers to practical ideas for staying in love, personal tips for great interactions, and passionate prompts for adding that extra spark to their relationship. It’s the perfect book for all couples at any stage of life and relationship.